El banco de semillas Rare Dankness se fundó en el año 2010, tras muchos años cultivando, guardando genéticas, y experimentando con muchas variedades de cannabis. Gracias a la red global de amigos, Rare Dankness ha podido trabajar con algunas de las genéticas más conocidas y de mayor calidad existentes. La colección de semillas Rare Dankness representa las últimas tres décadas de los mejores especímenes de cannabis en el mundo entero. El trabajo realizado por este banco de semillas no se basa en copiar las plantas madre, si no en cruzar y mejorar los especímenes seleccionar las mejores plantas macho. El triunfo de Rare Dankness Genetics es proveer la calidad más alta de genéticas a la comunidad de marihuana medicinal actual. Gracias al trabajo y esfuerzos realizados, y a los cultivadores que han confiado en sus genéticas, Rare Dankness Genetics ha logrado múltiples premios en algunas de las copas cannábicas más prestigiosas a nivel mundial. Rare Dankness 501st OG seeds produce regular plants (male or female). 501st OG marijuana is a cross made with a Skywalker OG x Rare Dankness #1. This regular strain is a heavy yielder, with a quick flowering time of 50-65 days depending on each phenotype. Rare Dankness Blue OX is a berry version from Rare Dankness Stone Mountain. Blue OX regular seeds produce male and female plants, thanks to the crossing Old Blue x OX male. Blue OX marijuana is very strong and pungent, with colors from Bubba Kush blended with a strong taste and flavour from original Blueberry. 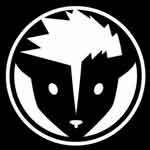 Blue OX cannabis is a great choice for users who like resin extracts, specially all those hash lovers and BHO tokers. 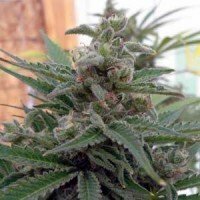 Buford OG seeds by Rare Dankness are a hybrid, mostly indica, with a deep kush side, that presents a very stable offspring, with low variation between phenotypes, what eases the work of the grower. Buford OG cannabis has a kushy lemony taste, with a tangie aroma from its New York City Diesel side. Rare Dankness puts its stamp on again, in a strain with a quick flowering period, that will not leave you indifferent. Rare Dankness Commerce City Kush seeds are a cross between the wellknown Chem 4 and RD#1 OG. The fuse of these two parentals gives Commerce City Kush marijuana a strong fuely taste, characteristic from Chem strains, and an intense buzz. Thick dense buds coated with resin makes from this strain a deli for smokers, that will get an intense taste, and a body high followed by a heavy body high. Rare Dankness Cornbread seeds produce regular plants (male or female) able to produce heavy yields of buds in a short flowering time (60-65 days). 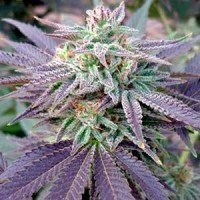 Cornbread marijuana has tints of sweet lemon and incense flavours, with purple undertones, being a strain that works good in any growing conditions indoors, outdoors and greenhouse. Dank Commander seeds are a regular strains from Rare Dankness that produce male or female plants. Dank Commander marijuana won the first prize in Legeneds of Hashish 2013, what guarantees an overstanding resin extracts. Dank Commander cannabis strain is a cross between Catpiss OG and Rare Dankness #2. 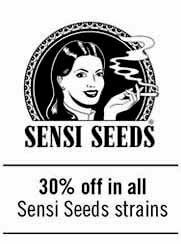 Rare Dankness Dark Shadow Haze seeds produce regular cannabis plants (male or female), being a sativa dominant strain. Dark Shadow Haze marijuana is a big buds beauty, with purple tones, covered in trichomes. This strain needs a short veg time, or to be topped more than once before flowering, and medium skills, to get best yields, being ready to harvest in not much more than 70 days of flowering time. La Flo OG de Rare Dankness es una variedad de semillas regulares nacida del cruce entre FLO y un macho seleccionado de Rare Dankness #1. 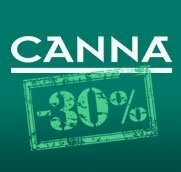 La marihuana FLO OG logró el segundo premio en Spannabis, dando muestras de su poder, sabor y aroma, además de por su efecto energético que la convierte en un placer para fumar durante todo el día. 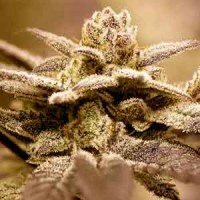 La cannabis FLO OG además tiene beneficios medicinales para multitud de dolencias, lo que la convierte en una excelente opción. 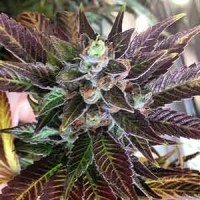 Flo OG by Rare Dankness is a regular seeds strain born from a crossing between FLO and a selected maleplant of Rare Dankness #1. Ghost of Lee Roy seeds by Rare Dankness produce regular cannabis plants (male or female), with a citrus aroma that reminds to cotton candy. Ghost of Lee Roy marijuana is a mostly indica hybrid, that flowers quickly, with medium yields, being suitable to be grown indoors, outdoors and in greenhouses. Rare Dankness Ghost Train Haze #1 feminized is one of the hybrids made from the original OG Kush clone, that it's been kept for long time, and later on used in crossings to breed new strains in seed-form. Ghost Train Haze #1 feminized seeds only produce female plants, saving time, space and nutrients to growers looking to grow them in their gardem- This cross between Ghost OG and Nevil's Wreck produce amazing trichomes, with a THC levels of 25%.